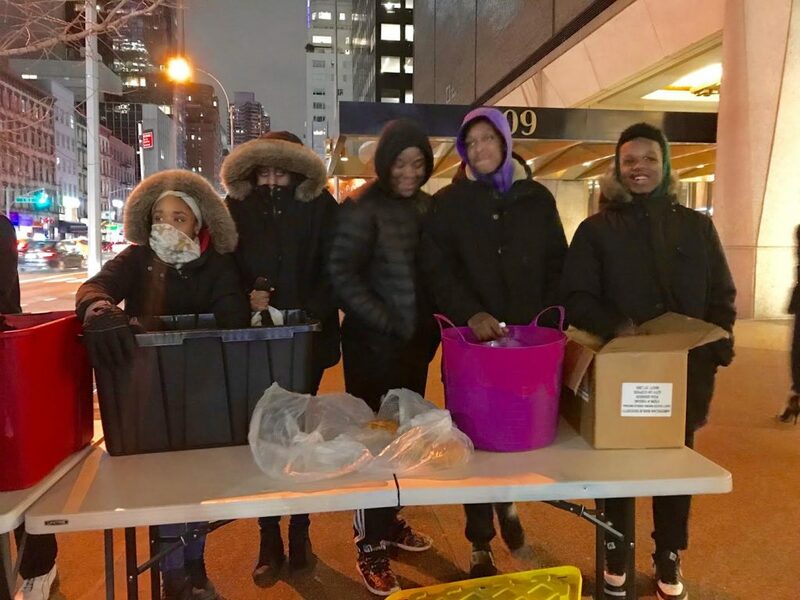 Rising Stars Scholars/basketball players have been volunteering their time on freezing Saturday nights to distribute food and supplies to the homeless in NYC. 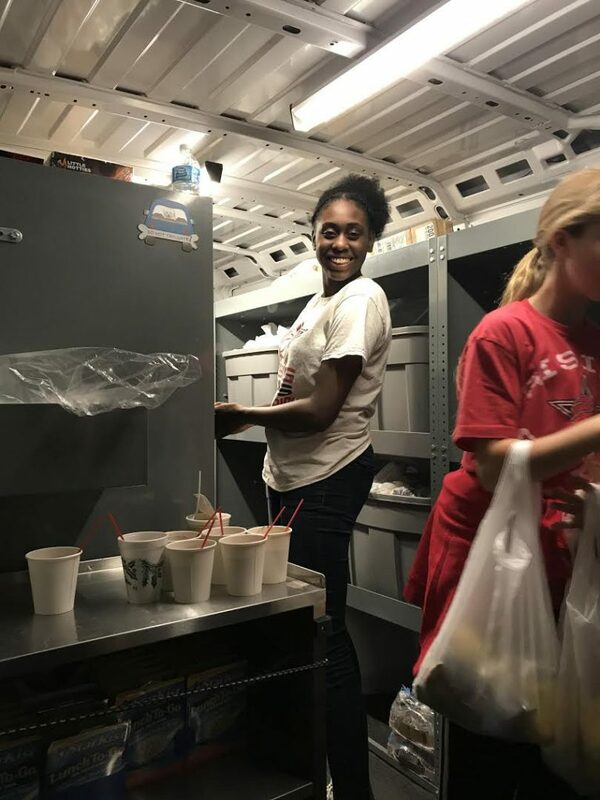 The kids said that working with The Homeless Bus was a humbling experience that taught them to never take anything for granted! When I started to feed the homeless it was a shock to me. I didn’t know there was so much people out in the streets that was like that. You could tell in the people’s eyes how hungry they were. The people was so thankful for everything that they got it was amazing to see how people could be so happy receiving something like that. But overall the experience was great for me and I would like to thank the rising stars program for giving me that experience. What I did last week has meant a lot to me. I gave the homeless goods that will please their needs. It was a great feeling to know I was helping someone that really needed it. It was great to know that I made someone’s day. 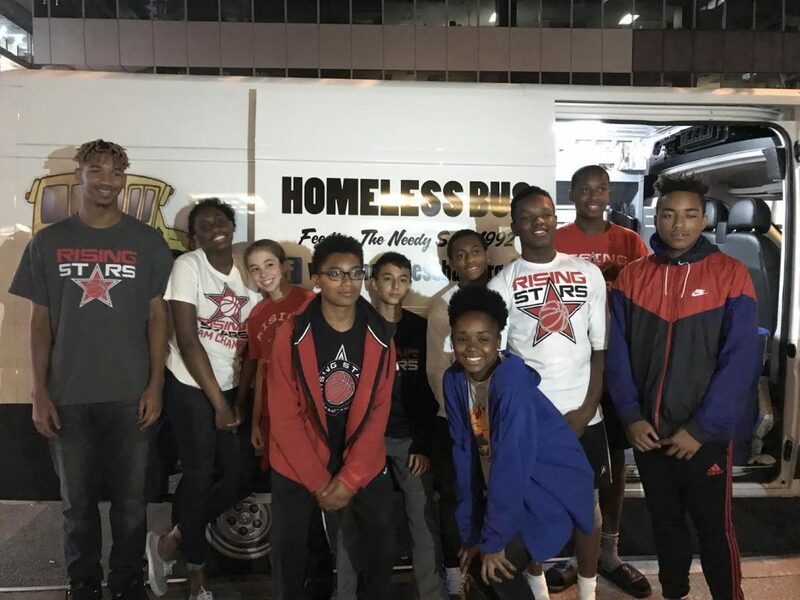 Yesterday I volunteered with the Homeless Bus, Inc. along with my fellow Rising Stars peers we helped distribute sardines, bagels, oranges, toiletry’s, socks, and books. The experience I had last night really helped put into perspective how blessed and fortunate I am. It gave me a view on how unfair the world can really be. 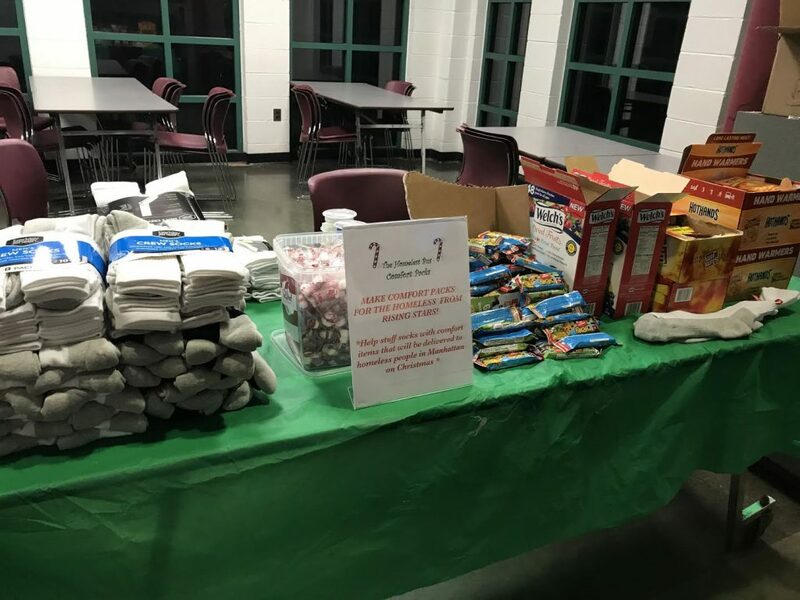 Seeing all the people in need of help last night emphasized how doing the little things like handing out bags of goods can make a real difference. Growing as an individual, I truly learned the difference between a need and a want. 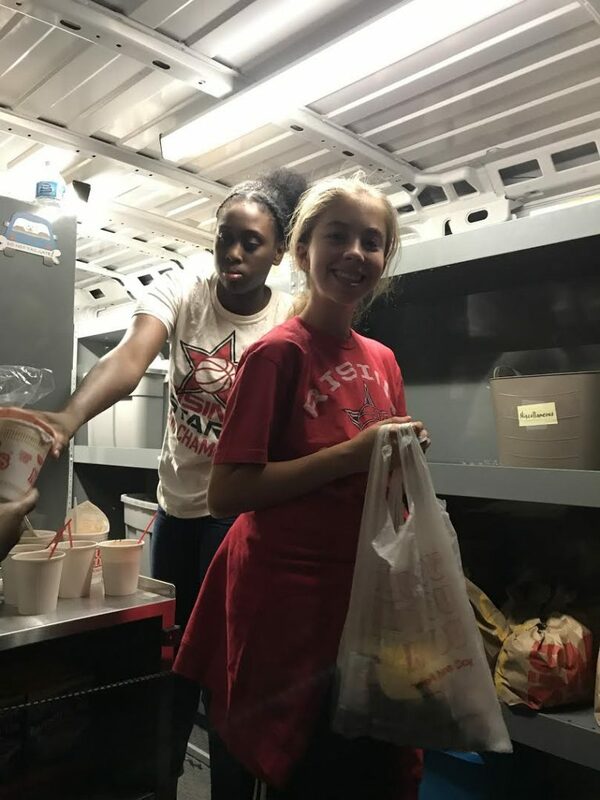 Every day I can live a great life because I have all the tools to succeed and although I might want a new ball or new shoes it doesn’t compare to the people we were serving last night who needed the goods we were distributing. Feeding the homeless was a humbling experience. To know that people are living rough taught me that to never take anything for granted. What got to me was that I saw people that looked around my age on that line and I feel like nobody should go through that. 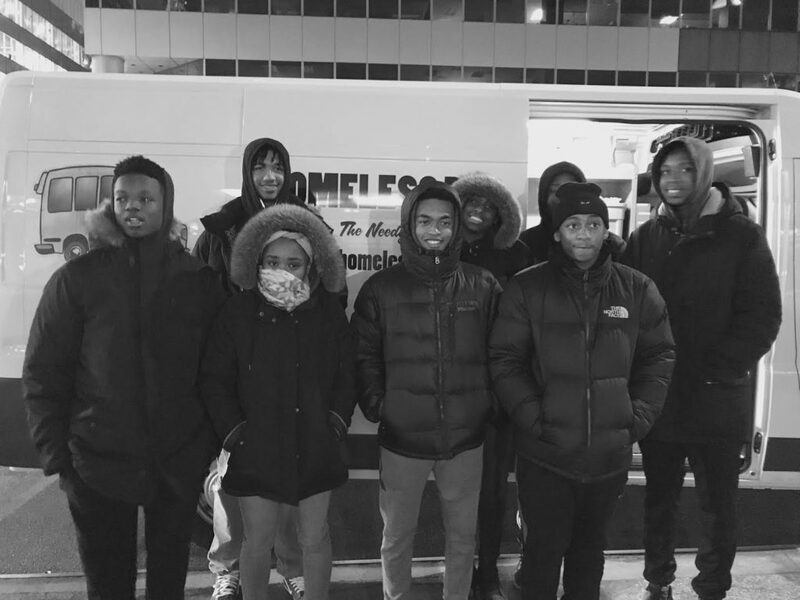 Feeding the Homeless was a great experience. It made me feel good to be able to put smiles on people’s faces . It opened my heart to want to help others again. Feeding the homeless also opened my eye to the fact that people really do struggle and it’s important that those who can help , do. Helping them also inspired me to look for more ways to help others and I would love to help others in need again. The homeless bus was a very eye-opening experience. I know that a lot of people are homeless but seeing it in person made a huge difference. I realize now how blessed I am to have so many people there to support me and keep me on the right track. Helping provide food and other necessities that they don’t have and watching the smiles that came afterwards made me really happy. At the homeless bus I learned many valuable life lessons. At the event, I learned that you should never take anything for granted because their are people who are in worse positions. I met some amazing people named Miami and his assistant. They help the homeless because they want to, and I admire them for that. I would like to then the homeless bus and Rising Stars for the great event. 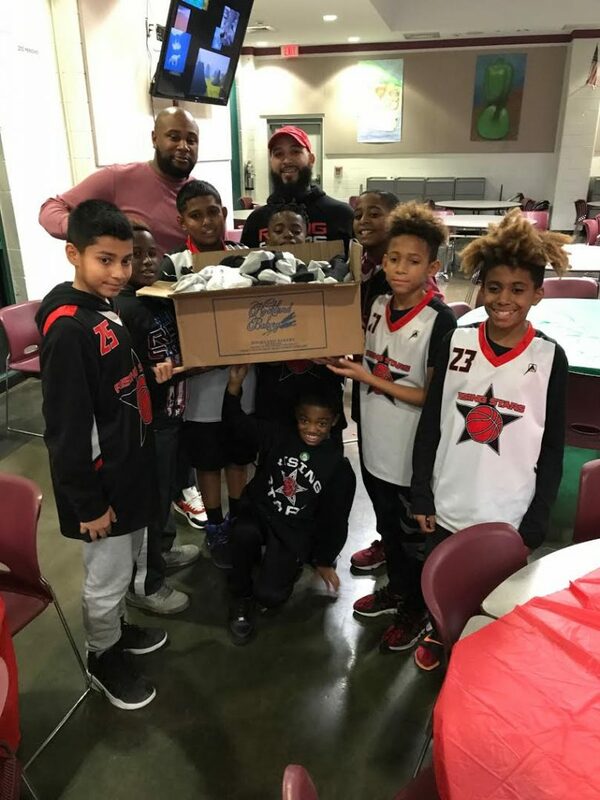 Rising Stars was founded by Paul Savramis in the early 1980’s as a series of summer camps but has since been on a 20-year journey of changing the lives of countless youths and their families. The homeless bus event taught me that their are people much less fortunate than yourself, and struggle everyday to acquire life’s daily needs. Also, when you are put in a difficult situation, remember that someone else has it worse, so just stay optimistic. During the event, I met a man named Miami, and his assist. They were incredible people whose hearts are filled with love because they take their own time to help the needy. They are great role models, and clear examples of great people. They live their lives for others and not just for themselves. I would like to thank Rising Stars, and the homeless bus for allowing me to be apart of such a healthy and enriching environment. 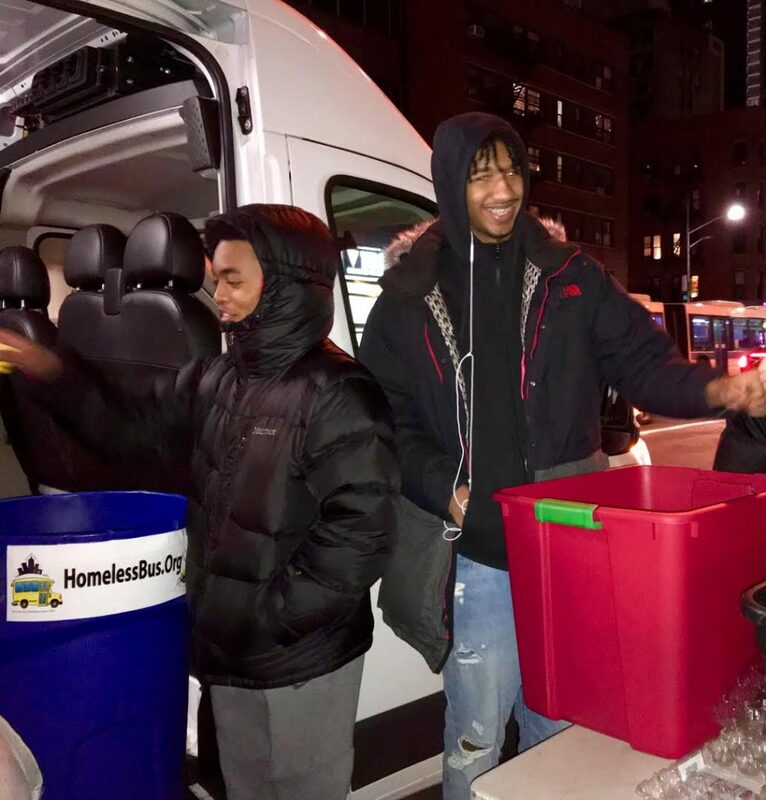 During my time at the homeless bus I realized how many people needed help. These people were so happy to receive this little food. They thanked each of the kids in charge of the stations. This was a good feeling to have by helping out people in need and giving back to the community. At the end the person In charge of the bus also thanked us. They said this would be impossible to do if they didn’t have any help. I would like to eventually do this again it felt good to help out people in need.